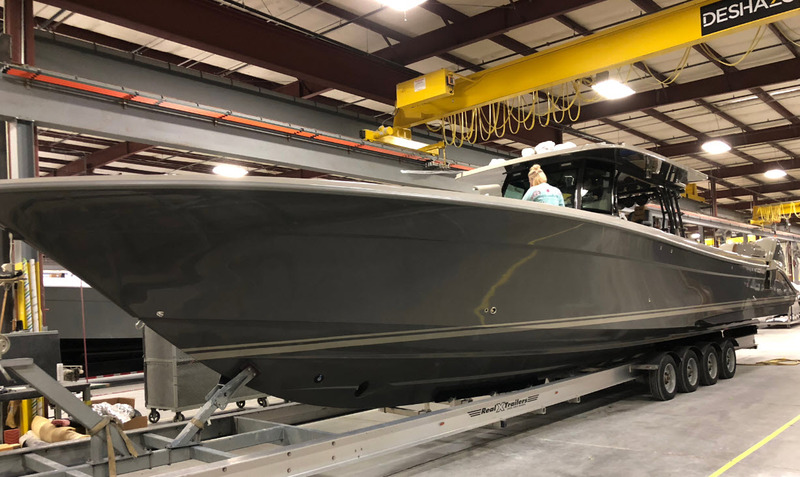 SI Yachts traveled to Knoxville, Tennessee this week to tour the HCB Yachts factory and see firsthand how these luxury center-consoles are made. This week the team from SI Yachts flew to Knoxville, Tennessee to tour the HCB Yachts factory and spend some time with the designers, product experts, and of course, the boats themselves. 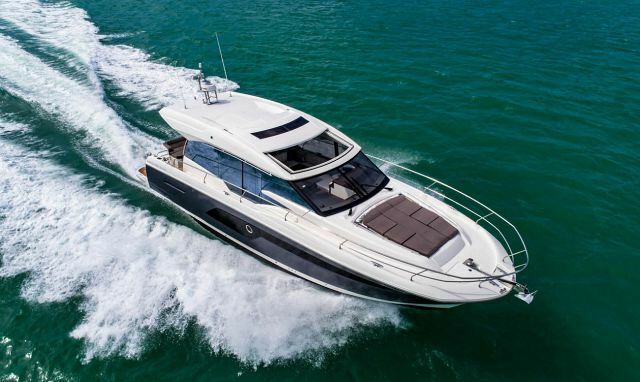 HCB plans to make a big splash at the upcoming Fort Lauderdale Boat Show with the unveiling of their newest model, the 65 Estrella, which is also in the running for the Best Boat Of The Show Award. The 65 Estrella is the world's largest center-console luxury yacht and HCB has planned a special VIP-only event to commemorate the premiere. 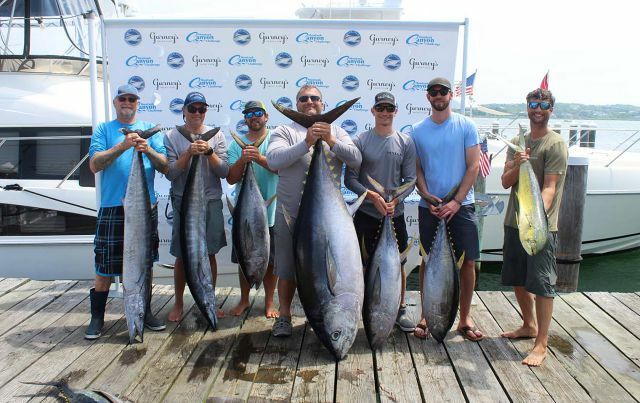 "It was definitely an eye-opening experience," said SI Yachts Sales Professional Frank Nicolois. "I've driven these boats, I've seen how they ride and how our customers react to them, but now I've gotten to see what the entire Crucero experience is all about. It's very impressive and is definitely an extension of the commitment from the HCB team that goes into building these yachts." HCB's Crucero Experience is the process that customers go through when building their own center-console yacht. HCB assigns you your own travel agent that guides you through every step of your journey to the factory and ensures that the experience is special and personal. 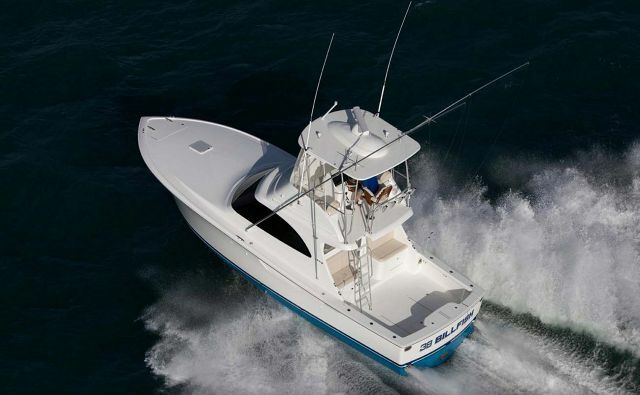 The HCB team jokes that once a customer goes through the yacht building process, they essentially have a degree is boat design due to the large amount of input that every owner has in the construction of their boat. From the initial visit to the factory to the delivery experience and beyond, the Crucero Experience is a unique and customer-centric approach to taking boat ownership further than the sale. The SI Yachts team was impressed with more than just the experience though, the yachts themselves were the real focal point of the trip. SI Yachts VP Jay Hendrix commented on how HCB differentiates itself in a crowded center-console market, "HCB overbuilds their boats. These are not a bare-bones yacht to keep the cost down. HCB's are meticulously built to be the best in class. They are loaded with options that are standard, way more in fact than what we find on most other competitor brands. There are back-up and redundant systems as well for just about everything, making them extremely reliable yachts." All Stringers are foam filled-in 39,53 and 65 stringers are modular. This allows for major changes if custom equipment is added to build. -Live wells are pressurized with dual back up pumps at 2,000 gph. They fill to top to prevent sloshing and won't kill the bait. -The dive doors open inwards versus outwards, making re-entry easier. Each door is customized to fit each opening separately for a tight, flush finish with no leaking. Each door has stainless steel backing plates to eliminate fiberglass cracking. -All wiring in electronic installations use doich connectors / auto-style pin connectors. Langer Krull - a well-known electronic installation and service company in Florida was consulted for all electronic installs. -All charging has a primary and a backup source. -Underwater lights are lumashore. Now offering stern, bow and midship lighting. -All models use 2 types of zincs, aluminum and zinc, which provides complete coverage for a year in salt and freshwater. -All models have standard single connection engine flushout. -Fuel tanks are baffled, coated, and use magnetic sending units. There is no transfer between fuel tanks and there is a larger fuel capacity than the competition. -There is a new summer kitchen option coming for the HCB 53 Suenos in 2020 with a built-in grill and more options for customization. -All cabinets on all models are hand made for each boat. -Generators on board are Westerbeke which are not only quieter, but also have improved capacity. -HCB performs 1000 checks on the lake test near their facility on every boat and an additional 4000 checks on the AIM test. Finally, there is a PDI check with additional 700 checks. 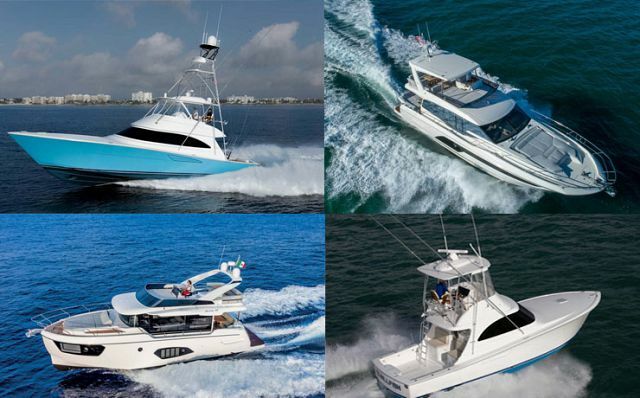 To see all of the models in one place firsthand, visit us at the Fort Lauderdale Boat Show starting on October 31st. Give us a call at (718) 984-7676 to set an appointment. Here are a few more pics from this week's trip!